Jill quit the show as a gesture of solidarity, which unfortunately left the couple with two kids to raise and no source of income. One would think that after such a precipitous fall from grace, Derick would be forever on his best behavior, but thus far that hasn’t been the case. These days, Derick is in law school and taking steps toward once again supporting his wife and kids, but the months since his termination have been tumultuous for reasons that go far beyond financial instability. 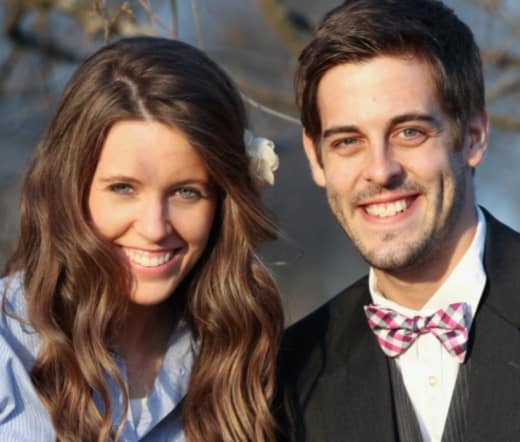 Derick has been accused of cheating on Jill, and the fact that neither party has addressed those rumors has only added to the public scrutiny of their relationship. Earlier this week, Jill posted the photo below, which shows her reading a self-help book entitled Boundaries by Dr. Henry Cloud and Dr. John Townsend. “Reading a little during bath time. 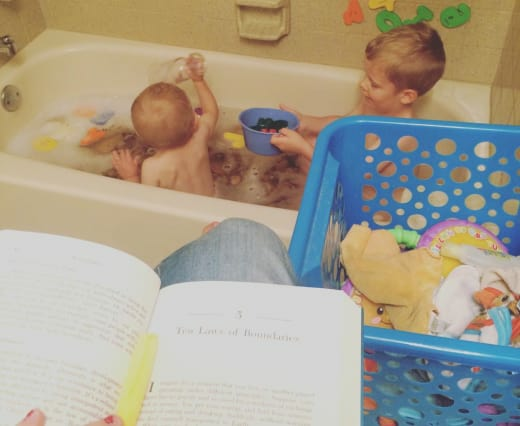 lol #momlife #orangebathwater #boundariesbook,” Jill captioned the pic. As In Touch Weekly points out, many of Jill’s followers commented that they had also enjoyed the book and found it especially helpful for mending fractured relationships. “Very good for dealing with toxic family members or friends!” wrote one such fan. Others noted that Jill could very much benefit from the lessons about independence, and Derick often seems to treat her as his doormat, even going so far as to make Jill attend his law school lectures to assist in taking notes. “A great time to say ‘no’ is going to your husband’s school. That is a good boundary to work on, Jill,” commented one follower. “Her father controlled her life until she married her husband,” added another fan. As many others pointed out, this is not the first time that Jill has used her Instagram page and her choice of reading materials to throw subtle shade at her controversial husband. 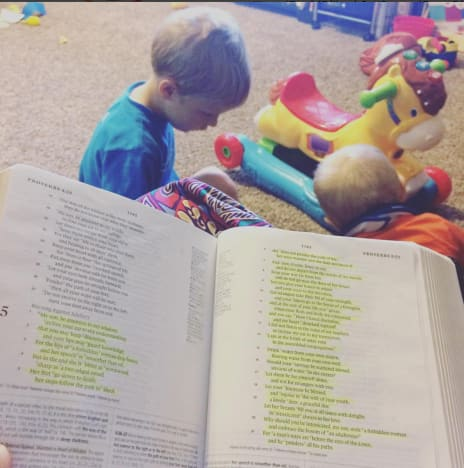 Jill recently posted a photo of her Bible, in which the section about adultery has been highlighted in its entirety. Like we said, neither Jill or Derick has confirmed or denied that Derick was busted cheating recently — and in all likelihood, they never will. But that doesn’t Jill is above throwing a little shade with her Instagram posts. 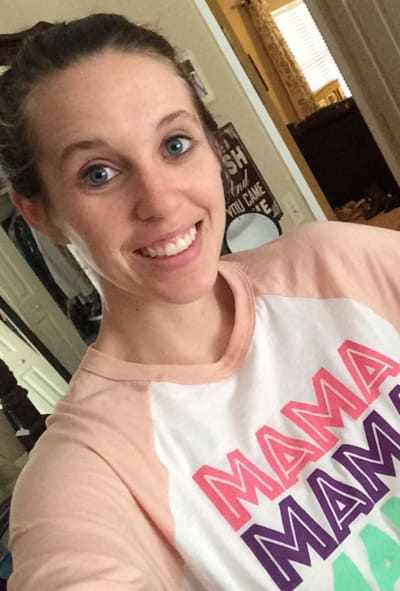 View Slideshow: Jill Duggar: Is She Rebelling Against Jim Bob’s Belief System?! The Bachelorette Recap: Colton Confesses! Becca Responds! Some Dude Cries!